Winnie the Pooh achtergrond. Winnie the Pooh wallpaper.. HD Wallpaper and background images in the Disney club tagged: winnie the pooh disney character wallpaper. hey your imitating me!!! i'm the real kairi and that is our photo that photo is mine and sora!!!!! i just hope's it stay's out. 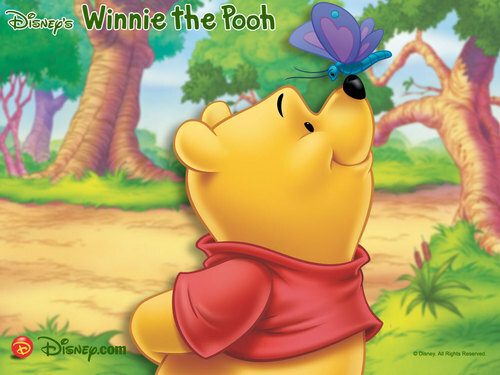 i love pooh bear so cute!! OMG, Pooh is my fav disney character!!!! !